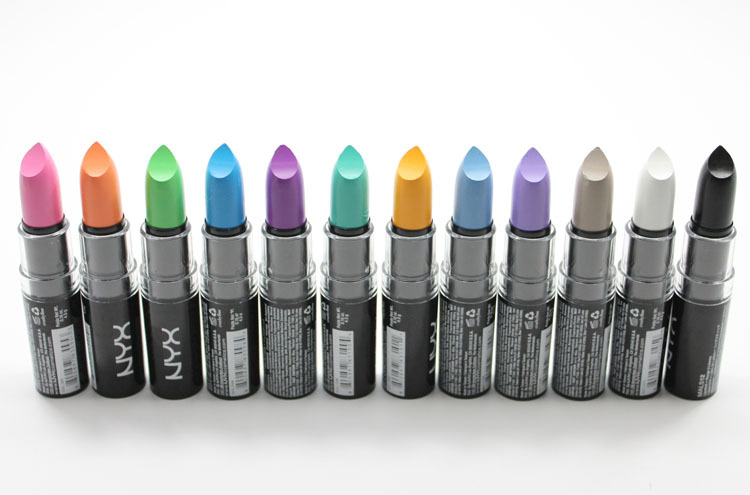 NYX Macaron lippies is a collection of neon and pastel lipsticks from NYX. 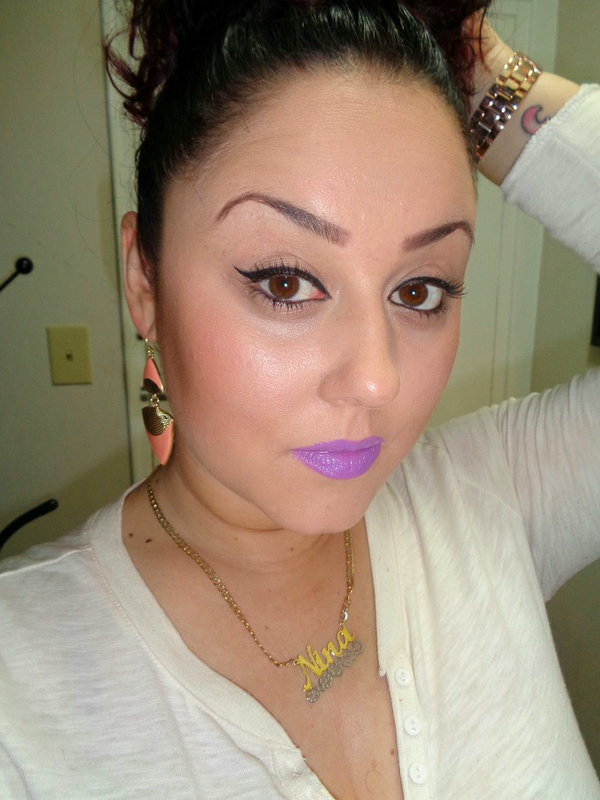 They are a cruelty-free formula, creamy texture with a satin/matte finish, extremely pigmented lipsticks! The colours are really off the chain, just totally out there and while some you can wear every day, others like pale grey and neon blue are a bit questionable lol but nonetheless they are all gorgeous! 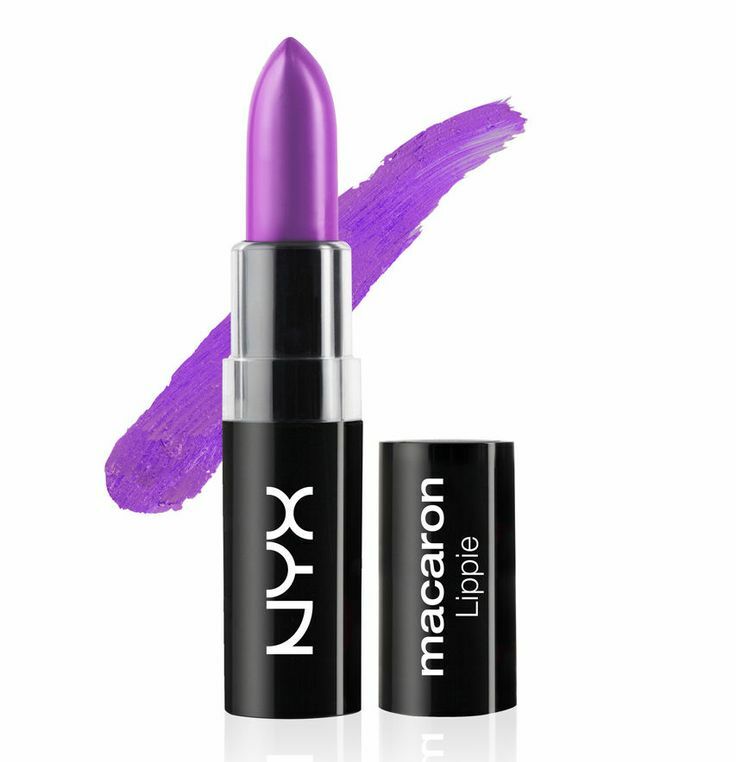 It was really hard for me to find Macaron lippies in Toronto but I finally did at an Asian mall, called Pacific Mall, and while they did not have all the shades they did have a few but I only got this gorgeous most perfect purple called Violet. 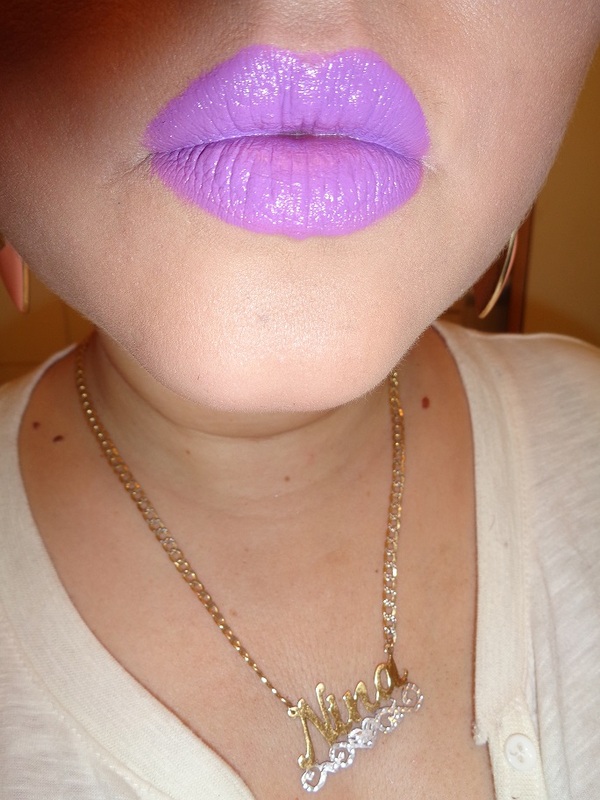 I have been searching for the perfect purple shade for the longest time and I purchased quite a few purple lipsticks and while they were really pretty colours, they all fell short. This is it! 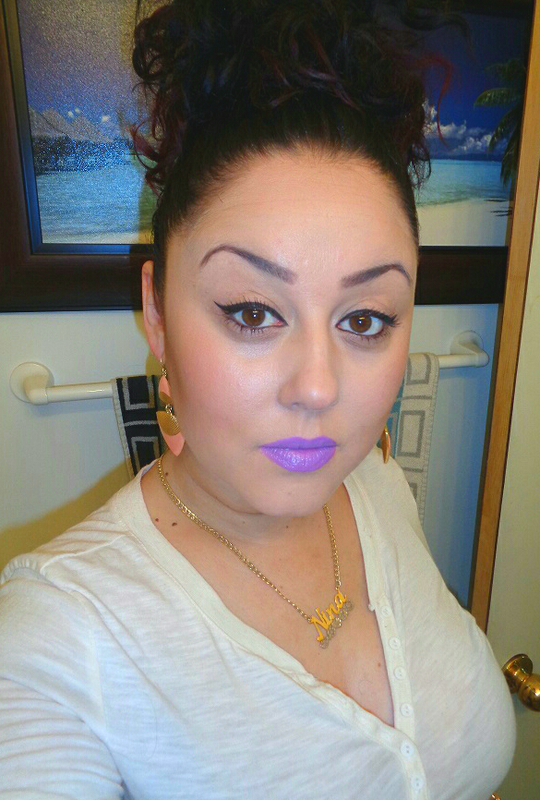 It is a cool tone purple with a blue undertone. 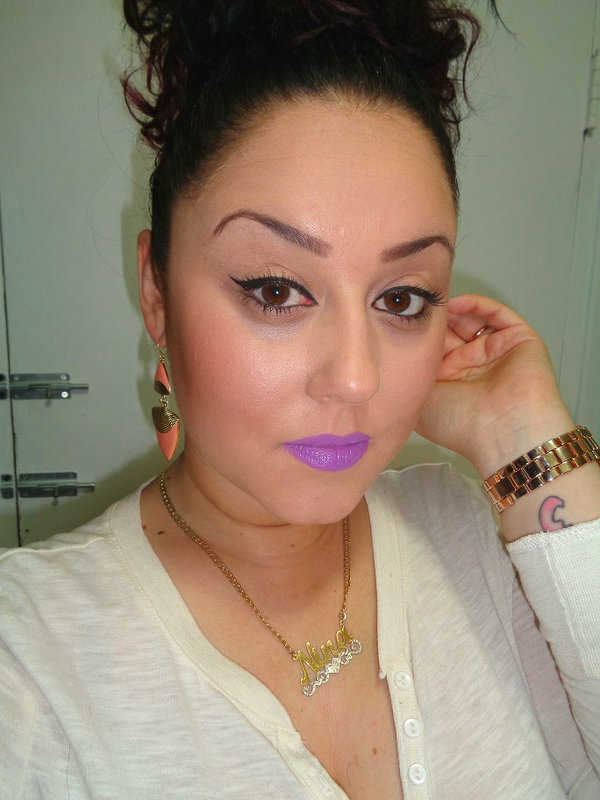 The lipstick is extremely pigmented and it just glides on. It is very creamy and it has a satin and matte finish. One thing is, it does dry out and feels a tad bit uncomfortable on your lips after some time but that’s to be expected with matte lipsticks. The longevity is decent. I feel it starts to wear off in the middle relatively fast so you do have to reapply because with such a rich colour, it doesn’t look pretty when you have colour worn out in the centre of your bottom lip . It is definitely an eye catcher. I love it. What do you guys think? Do you have any Macaron lippies ? What is your favourite? Gorgeous color. 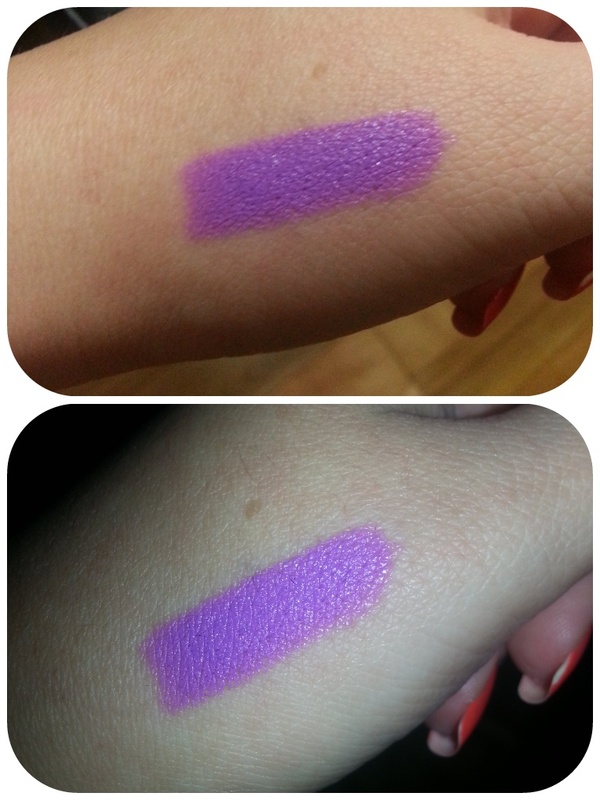 It is so pigmented and pretty! Isn’t it??? I love it! Thanks girl 🙂 I love this colour. It’s so different. Thanks! I love this colour.